As in previous years, Berlin celebrated the Day of German Unity with numerous occasions and events. On October 3, 2018, more than 600,000 people from various countries came together at the central locations of German reunification. In keeping with the saying, “Only with you” there was a celebration together – despite rain and strong gusts of wind. 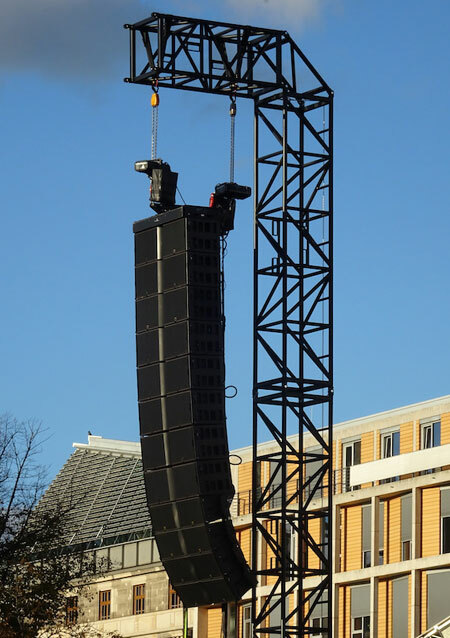 The festivities were supported by two large PA steel towers from the Prolight + Sound exhibitor MILOS, which facilitated a smooth show, despite the difficult circumstances. The new series of steel trusses were introduced to the European market by MILOS early 2018 and is made up of six different sizes. The steel trusses are manufactured using ultra-strength alloy steel that complies with European norms. In contrast to the typical aluminum truss, the steel trusses used for the PA tower is distinguished with a four-fold flexural strength. Above all, this is highly advantageous with extreme ground supports and stage covers. In addition, special characteristics of the MILOS steel trusses are climbing assists, integrated stacking assists, and numerous connection possibilities on the end frames. 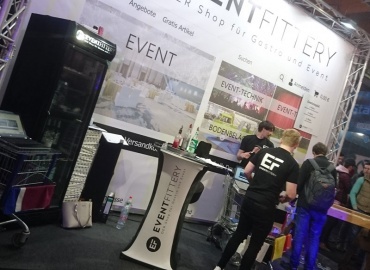 The PA tower at the large-scale event in Berlin were almost 20 meters high, with a load carrying capacity of 2,500 kilograms. The admissible wind exposed area of the weight is ten square meters from the front as well as the back, and five square meters from the side. This means the construction is suitable for all types of main and delay tower applications. In addition, the wire anchoring can be completely abandoned. This way, with a ground support in combination with the accompanying system components and a 2.5-ton motor, the truss can lift a weight of 10 tons. The mechanical locking unit can even carry a total weight of 40s per tower. This special load capacity and weather resistance on the part of the MILOS PA tower proved itself on German Unity Day, where gusts of wind up to 70 kilometers per hour were measured. While several events had to be cancelled, the stage events where the PA towers were in use, were carried out as planned. 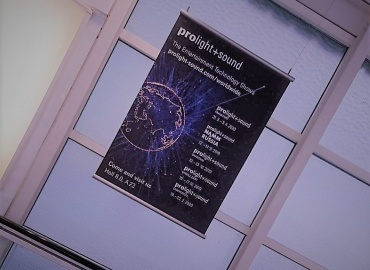 For those of you who would like to learn more about MILOS, we recommend our interview conducted on the occasion of Prolight + Sound 2017.